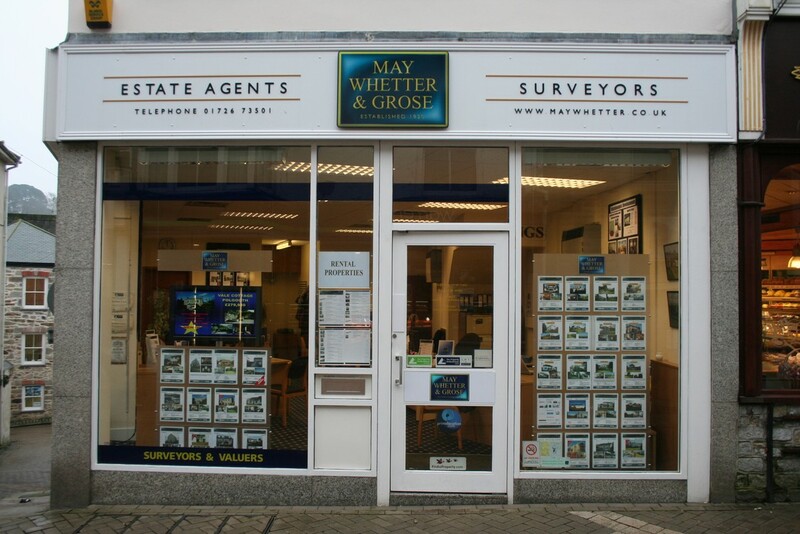 May Whetter & Grose is one of the broadest based Estate Agents and Surveying practices in Cornwall. Operating from prominent offices in St Austell, Fowey and Polruan. It has separate departments for residential sales, professional services, commercial, residential letting and management and new homes. Established in mid Cornwall in the 1920's, the company has established an enviable reputation for its professional and efficient service which is reflected in its wide ranging client base of private individuals, local companies, banks, building societies, PLC's, national and multi-national corporations. All offices occupy prominent locations, have attractive window displays, comfortable interiors and utilise the very latest in modern technology. The Head Office at St Austell is the largest estate agents and surveying office in the town employing more personnel than any of its competitors. The Fowey office is located in the heart of the town centre, dealing with some of the finest property in the area. Small enough to care but large enough to cope, a local company providing a professional personal service with standards you can trust.